This tour is on small country roads open to traffic. The pace is meant to be casual and enjoyable for healthy people in reasonably good shape who are comfortable riding a bicycle. 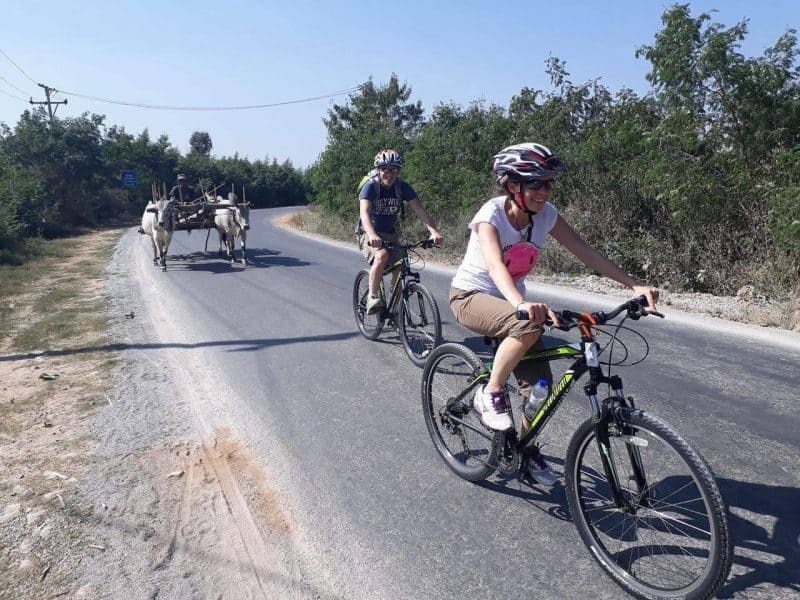 Book a one day bike tour through Dala that includes;village market expreience,refreshments and cycling around this small town. Our driver will pick you up from your hotel in Yangon around 7am and transfer you to the Pansodan Jetty.Enjoy 20-minutes ferry ride away from Pansodan pier to Dala City. Dala is a small village across the river from Yangon. A day trip to Dala village from the main city was a lovely experience. . A visit to Dala village is perfect for those who want to take a quick look at simple Burmese village life and need a change of scenery from Myanmar’s touristy spots. 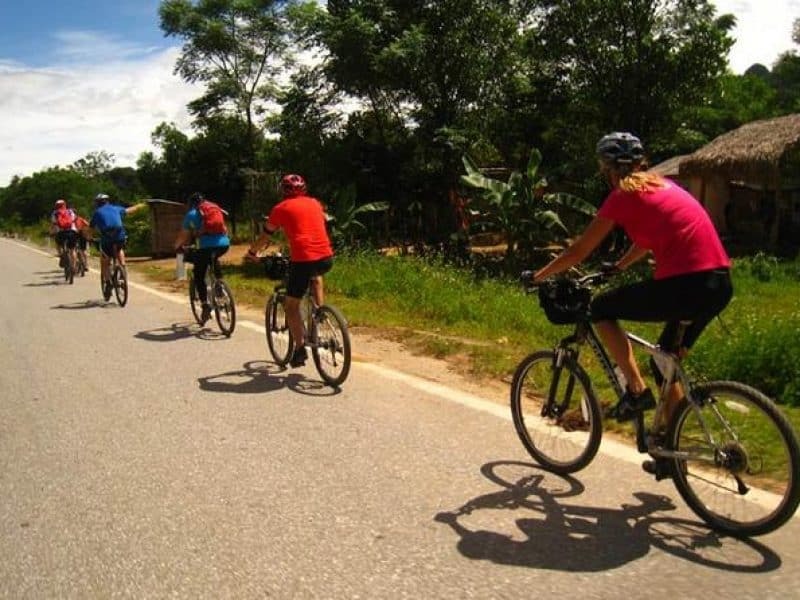 When you arrive in Dala, we will start explore and cycling around this small town. A trip to Dala gave you a quick snapshot of life in a small Burmese village. You will see fish markets, bamboo houses, teashops, and many farm animals that wandered about freely. We will visit a lovely monastery and golden pagoda. The monastery was very close to the pier and was interesting to explore.Then visit the village markets selling fresh daily produce. After that we will explore the Chu Chu workshop, which has been partly constructed from old glass, plastic bottles and other recycled materials. Watch the process of turning plastic rubbish into attractive bags, baskets, jewellery and other colourful items.The rest will be taken to the local restaurant and enjoy some chilled drinks and snacks to refresh yourself. 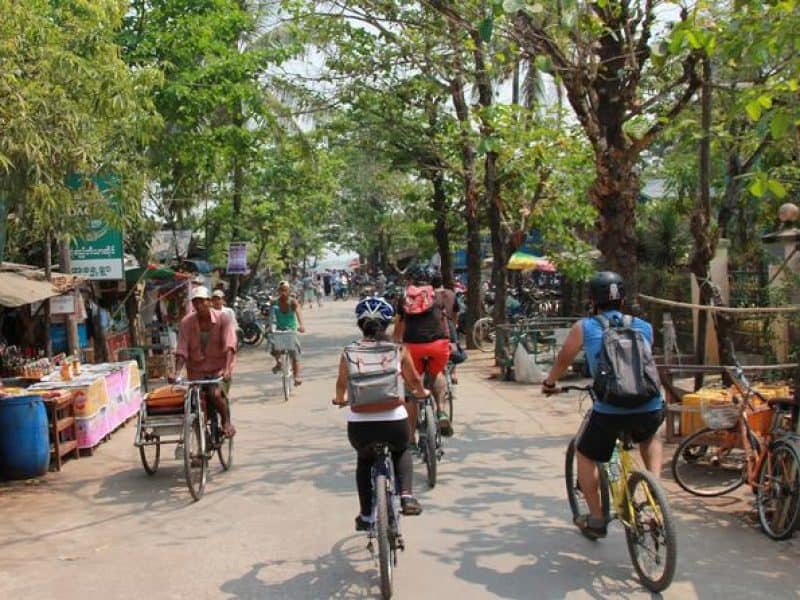 Once you arrive at the Dala ferry port, get some time to explore suburban Yangon before a bigger ferry carries you back into the city. On the way back you can find the Gothic towers of St. Mary’s Cathedral and the former ministry buildings of the Secretariat Office compound before you’re returned to your Hotel. Adequate Travel Insurance is request! All our activities does not provide insurance!